The groupings below are based on the traditional ones followed by The Yale Shakespeare, and the titles used are from that compilation notwithstanding some apparent inconsistencies. The dates given for each play are estimated, and are often the matter of considerable dispute. The Raigne of King Edward the Third — Published 1597. 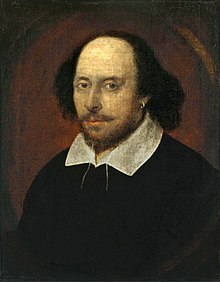 Commonly attributed partly to Shakespeare, partly to Thomas Kyd. "Shakespeare, William," in Dictionary of National Biography, London: Smith, Elder, & Co., (1885–1900) in 63 vols. This page was last edited on 24 April 2019, at 09:59.